S Group has reduced its energy consumption by over 30% in just five years and increased the use of wind power. Customers are also being offered emission-reducing alternatives. S Group has managed to reduce its energy consumption by over 30 per cent in just five years. The carbon footprint of this network of retail companies is also being reduced through the increasing use of wind power. Even customers are being offered emission-reducing alternatives. S Group maintains over 1,600 locations all over Finland and is the country’s largest non-industrial consumer of electricity. In recent years, the co-operative group has systematically looked for ways to reduce energy consumption in its stores, restaurants, hotels, service stations and logistics centres. 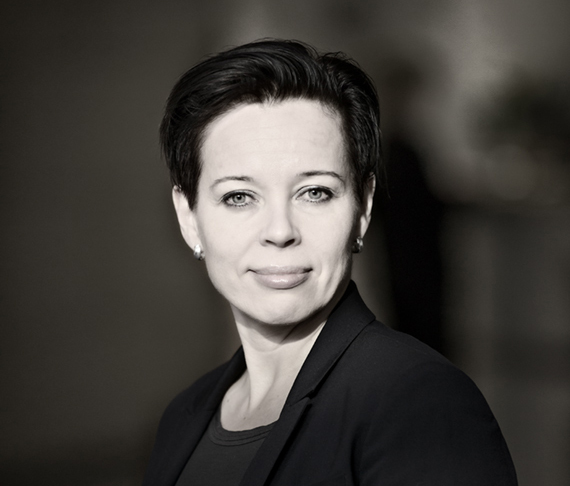 Senior Vice President, Sustainability and CSR at S Group, Lea Rankinen, says this has borne fruit. “The energy consumption of S Group locations has dropped over 30 per cent to below 2010 levels,” says Rankinen. In S Group properties, most of the energy goes on refrigeration, lighting, ventilation, heating and kitchen appliances. “In order to save energy, we need precise information on where the energy is going. We use an energy consumption monitoring system, which covers all S Group properties,” says Rankinen. It has been possible to reduce energy consumption, for example, by the smarter control of heating and ventilation systems. One of the biggest consumers of electricity in supermarkets is refrigeration equipment. The efficiency of their energy consumption has been significantly improved by replacing old equipment with new cabinet and island units, which are fitted with doors and lids. Lighting is also a major consumer of electricity in properties. Across S Group, savings have been achieved by developing automated lighting and control systems. “Also, the adoption of new technologies, such as replacing standard light fixtures with LED lighting, has resulted in major savings,” says Rankinen. In addition to wind power, S Group is also exploring other renewable sources of energy, which could be used to reduce the carbon dioxide emissions of its properties. “For example, in new construction projects, we are exploring the possibility of using solar or geothermal heat.” In the renovation of locations, emissions are reduced by replacing, for example, old oil heating systems with district and geothermal heating. Electricity consumption can also be reduced by means of smart property-energy management. S Group properties in Sipoo and Oulu are currently part of a pilot project in which new methods are being tested to balance electricity production and consumption. Led by the VTT Technical Research Centre of Finland, the project’s smart system indicates how much a building’s energy consumption can be increased or decreased in real time.